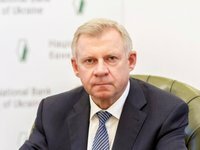 The National Bank of Ukraine (NBU) has decided to raise the refinancing rate by 0.5 percentage points (p.p. ), to 17.5% from July 13, 2018, to bring inflation to the target range in 2019. A decision resolution on the key policy rate was approved by the NBU Board on July 12, 2018, the central bank said on its website. "The decision to raise the key policy rate to 17.5% has been approved by NBU Board Key Policy Rate Decision No. 443-D, dated 12 July 2018," it said. "The impact of inflation factors will become stronger in future, but the tight monetary policy will offset their effect and drive inflation back to the target range in 2019," it said. "At the same time, in H2 2018 and 2019 inflation will be exposed to a number of factors that should be eliminated by monetary policy tools, unlike the rise in administered prices. Among them: higher-than-expected domestic demand, which is, among other things, due to wage growth and greater remittances from labor migrants; less interest on the side of investors in Ukrainian sovereign debt as a result of the global trend of exiting developing countries' assets and postponed financing under the IMF cooperation program; inflation expectations that continue to exceed the NBU's inflation targets," it said. This is the fifth decision to raise the key policy rate: the NBU raised it from 12.5% to 13.5% per annum on October 27, 2017, then to 14.5% per annum from December 15, 2017, to 16% per annum from January 26, 2018, and to 17% per annum from March 2, 2018. The last time the central bank reduced the discount rate to 12.5% from 13% per annum on May 26, 2017. Before that, the NBU had reduced the rate from April 14, 2017, to 13% from 14% per annum, which was set as of October 28, 2016.